Rory McIlroy has announced he will miss the Par 3 Contest before next week's Masters in Augusta to concentrate on winning the year's first major. The Northern Irishman described the event, which takes place the day before the first round on Thursday, 7 April, as "just too much hassle". McIlroy has missed the Par 3 Contest only once in seven Masters appearances. The four-time major winner enjoyed his best Masters finish last year when fourth behind winner Jordan Spieth. 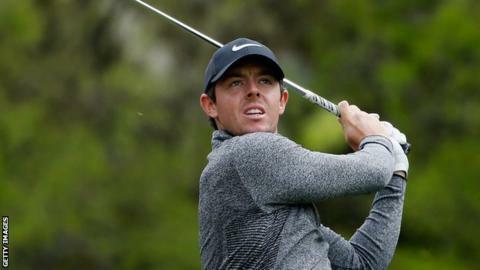 The one year McIlroy missed the Par 3 Contest was in 2011 when he went into the final round of his then third Masters leading by four shots before recording a last-day 80 to tumble to a share of 15th place behind South African Charl Schwartzel. He explained: "That year I had my best chance at Augusta as I didn't play the Par 3 Contest, so maybe the decision not to play it this year can work in my favour." The Par 3 Contest is played over holes ranging from 70 to 140 yards in the north-east corner of the Augusta National Grounds. It is a nine-hole event and no winner in its 55-year history has gone on to win the Masters the same year.